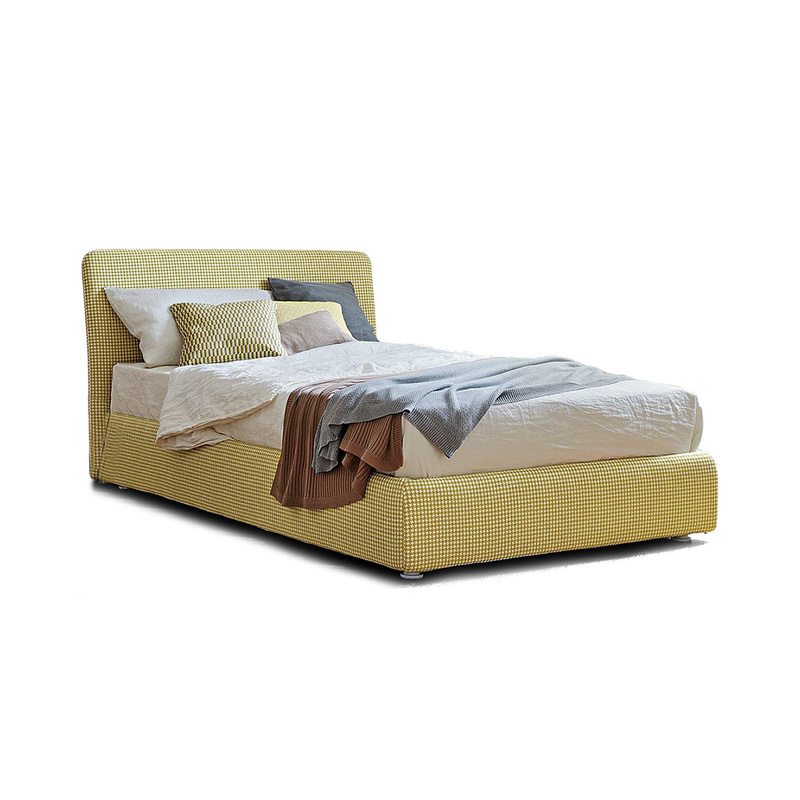 The Tonight single bed by Bonaldo: the comfort of a large single bed in a simple and graceful item. The Tonight bed is a simple and pretty piece of furniture that boasts a very important ‘signature’, namely that of Bonaldo, an Italian brand that pursues a well-defined idea of what design should be like, contemporary but at the same time elegant. But what makes the Tonight bed special? First of all, its size: indeed, the slatted frame (included in the package) measures 120x200 cm, making it perfect for those that, while sleeping alone, want to sleep in great comfort. Moreover, Tonight is lined in M96 fabric, a blend of cotton (60%), viscose (25%), and linen (15%), sporting a beautiful pattern and an ornamental border; the lining is also fully removable to make it easy to clean in the washing machine. Featuring a simple design with a wide, slightly oblique headboard, Tonight is easy to place in the most diverse styles of furnishing. Information: Bed frame measuring 120x200 cm, with storage box (slatted frame included, mattress not included).